If you had to pick the most compelling mHealth, or mobile health, application, you might well pick mDiagnostics—the ability to perform laboratory work outside the laboratory. mDiagnostics promises to bring on-the-spot testing to poor and remote areas where conventional tools such as microscopes, cytometers, and colorimeters are unavailable. Mobile, off-the-grid diagnostic tools are best compact. But, beyond that, choices abound. 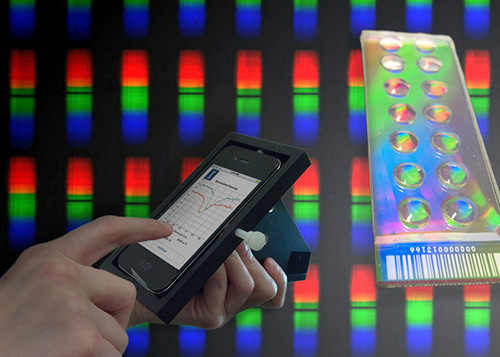 mDiagnostic tools could be sleek, self-contained, standalone devices. Or they could be modular. For example, an mDiagnostic tool could consist of an add-on device plugged into a general-purpose platform, the smartphone.